A beautiful new (well, 2014) website that brings us football nostalgia via stories and images aimed at educating the reader. Must read: a forgotten titan, the story of Didi (click here to read). A terrific site updated several times a day to offer readers the latest bits and pieces of football news. Must read: league of Ireland what’s the plan? (Click here to read). An extremely informative website set up by football scout Radu Baicu (previously of Leverkusen and Hannover 96) to bring us the latest information from the Romanian first and second division. Another brilliant resource for gamblers. Must read: a look at Hagi’s struggles with the best Romanian football academy (click here to read). A lovely idea for a site, which I am surprised has not came sooner, that reviews the latest football books on the market. Must read: books to read in 2015 (click here to read). You’ve gotta’ love their bio: proudly bringing you none of the latest news, gossip and scores. I like to think that LeftWingSoccer matches that description. The Inside Left is a kindred spirit that is so full to the top with quality writing, some of it managed to spill out and onto the pages of a book! Erbstein, by Dominic Bliss. Must read: searching for Erbstein (click here to read). This really is a golden age for football writing. Never before has there been this much quality to consume, let us raise a glass to the brilliant Tomos for his contribution. England have the Neville’s, the Dutch have the De Boer’s, now Australia have the Stratmann brothers providing tactical insight for us all. Must read: why Ever Banega’s attacking power is so important (click here to read). With online media becoming impressively entertaining in its football news reporting, and with a widening market of, well, sameish football sites, it is recommendable for blogs to be a little bit different. The Set Pieces is different in the respect that it is absolutely top quality, offering only the very best features and interviews. Must read: football and the Gaddafi family (click here to read). Richard is part of a generation of young men raised by James Richardson outside sunny Italian cafe’s. Whilst nostalgic about the glorious 90′s, he is also realistic regarding the current issues plaguing the Italian game. The site plays host to some incredible writing so be sure to have a look. Must read: arrivederci Siena, ciao Siena (click here to read). Everybody wants to write about the Premier League, nobody does it better than Seb. Must read: the benefits of a foreign move for Danny Ings and English players (click here to read). In a globalised era scouting has become much more difficult as every club has access to the same footage you do. Negotiating dealings are central to success, as more often than not you are competing with ten rivals for the one player. Nevertheless the principles of scouting remain… find that one gem before everybody else does. I’m a scout at a much lower level than the players who ScoutedFootball are profiling, however I appreciate the quality of their reports and it’s a truly fantastic initiative. Thore’s blog is beautifully simplistic in appearance yet features superb writing, covering a host of European topics. At present he is living in Madrid so we can expect some great insight into football’s most vogue city throughout 2015. Also, be sure to subscribe to Thore’s @TwentyMinReads site, inviting us to immerse ourselves in 5000+ word articles. Must read: the importance of Isco (click here to read). Coaching is in a huge transition as we look to evolve from the ‘old school’ methods that gripped the game for so long. Jose is another example of the new, a positive force trying to reeducate people on how we should act and be as teachers. Must read: winning versus development, why not both? (click here to read). Jon has been a whirlwind these past 12 months! Obviously so knowledgeable about coaching, as equally talented as a writer, whatever Jon touches seems to turn to gold at present. The MLS and American soccer in general should look to snap him up and harness his intelligence. Must read: the culture wars of American soccer (click here to read). I love it when T2U get stuck in to a subject. Right now they’re dissecting issues surrounding gender and football and it makes for very informative reading. Also, you simply must delve in to their ‘great and hopeless’ football league teams series. Must read: unexpected rivalries – Sheffield United and West Ham (click here to read). There is no praise high enough for These Football Times. Their work is heavenly. Omar and his team of writers genuinely get me through the day. Please, go and spend the next ten hours reading through their quality work. Must read: FC Midtylland, a small club with big ambition (click here to read). The sister site to TFT aims to investigate football’s mechanics with articles on fitness, psychology, tactics and societal issues. Again, I can’t stress enough how much you need to immerse yourself in this site. Must read: the evolution of wide players (click here to read). Another one of my favourite sites, the absolute quality and the sheer variety of the work on TTR needs to be seen to be believed. Must read: Valencia’s intense style under Nuno is carrying Los Che to success (click here to read). The damp depression of non-league football is not for most. Harry has an ability to romanticise the experience and aptly justifies that Dickens, Orwell and Zola were more interested in the lower divisions of society than the elite. If you – like me – agree, this is the blog for you. Must read: the agony and the alcohol – Bobby Murdoch (click here to read). A wonderfully regular website covering the issues of Europe’s most recent superpower. Must read: Ancelotti and Leonardo’s three aces of 2012 (click here to read). A fairly new blog but a very good one nonetheless, one with a bright future. Must read: the traditional scout in a digital age (click here to read). One of the best blogs to refer to for regular Brazilian football news and opinion (with some closer attention afforded to the Rio de Janeiro club). Must read: previewing Brazilian clubs in the 2015 Copa Libertadores (click here to read). For years Swiss Ramble has been the very best football finance blog on the internet. 2014 was a blip, but now he’s back and better than ever! I can’t really add to that, except to say thank you for providing us all with an insight common fans aren’t privy to. Must read: the new Premier League TV deal analysed (click here to read). A brilliantly versatile site that gifts us with tactical analysis, scouting reports, team blogs and the in-depth talent radar series. Must read: the 100 best young players of 2015 (click here to read). This is a blog by a man who writes his opinions on football issues. Nothing fancy, but some great writing, especially his trips down memory lane. Must read: a moment in time: 1997, when Nottingham Forest won the league (click here to read). You will probably have heard of FBB already as the charity endorsed by Guillem Balague that provides opportunities for young people through the power of football. You probably won’t have heard of their Tumblr blog despite it containing a lot of very informative socio-political investigations into football. Must read: what the Premier League’s free-market fundamentalism means for employees (click here to read). A heartwarming trip down memory lane is provided by The Football Attic who remind us of Subbueto, Admiral kits, Panini and a happy childhood. This is not just a site bringing the latest Bayern news, it also provides insightful opinions on the most tactically exciting club in Europe, and on the Bundesliga, too. Must read: television deals, panic and the Bundesliga (click here to read). We are privileged to have such an intelligent man dedicate his spare time towards this blog. Steve Amoia translates unique content from Spain and Italy that we would usually not see in Anglophone media. I’ve put this as a coaching blog as a lot of the content translated surrounds coach education, particularly thesis’ written by elite coaches. Must read: Filipo Inzaghi, the mentality of a winner(click here to read). As a venture; “NYA mixes ideas from economics, mathematics, physics, and statistics to create unique ways of assessing players, devising tactics, predicting results, and managing finances“. It also hosts Dan Altman’s terrific stats blog. Must read: did referees want Liverpool to win the league? (Click here to read). A versatile coaching blog that covers the modern requisites of understanding for success; psychology, tactics, analysis. Must read: moving the defense out of position as shown by Atletico (click here to read). Stylish appearance? Check. Interesting reads? Check. Updated regularly? Check. An all round top drawer site. Must read: a Q&A with Graham Hunter (click here to read). 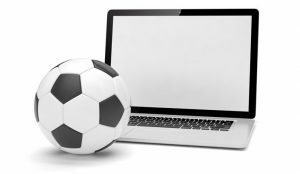 The blog was founded by professor Dubois in an attempt to offer his students a platform to dialogue their opinions on the history and politics of soccer. Extremely intelligent, creative, thorough, passionate and compelling writing. Must read: exploring politics and the beautiful game in the middle easy(click here to read). Despite being in a Dubai-league-esque state of semi-retirement, 1FITG are still drip feeding posts and we must keep them in our thoughts! Must read: football and Scottish independence (click here to read). Founded in 2010 to cover the World Cup in South Africa, this blogging veteran still gifts us with sublime writing and was part of the Guardian’s original top 100. Must read: Chelsea and the racists, who’s really to blame? (Click here to read). A blog let’s people share their experiences of football spectatorship abroad. I love it. Must read: when you’re in hell only the devil can save you (click here to read). Now to the most exciting league in Europe, both tactically and technically, with the best model of business and fan involvement, a pioneering investment in young players, the best goalkeepers, infrastructure and national team; all of which is covered perfectly by the Bundesliga Fanatic. Must read: Bayern’s molecular gastronomist (click here to read). Contemporary tactics are extremely complex and somewhat overwhelming, however I’d recommend any novice read their ‘football tactics for beginners’ articles to fill in the blanks. Must read: football tactics and national identity – part 1 (click here to read). Once up on a time there was two football blogs vying to bring the best updates from Chile, until one day the writers met in the middle of a damp muddy battlefield and decided to combine their knowledge for the good of the people – hence the birth of Lone Star Chile. Must read: from tragedy to triumph, the story of O’Higgins (click here to read). One of the nicest guys on Twitter, Lee writes the most fascinating articles on tactics and how they can be implemented in Football Manager. Despite being only two years old this blog has already managed to live up to its name. As they put it themselves, they have successfully avoided conjecture and rumour to provide thought-provoking articles covering Europe’s top 5 leagues. Must read: Failures? Russia’s 2008 golden generation (click here to read). Tim currently works for ProZone Sports and has been able to form a partnership between the company and his website that enables him to offer cutting edge analysis on football down under. Must read: how do you beat Brisbane Roar? (Click here to read). This site covers the progress of the Pharaohs in their international fixtures and also the development of their star players abroad. Must read: the Egypt-Bob Bradley adventure part 1 (click here to read). Some more beautiful writing on the politics associated with our game. Must read: Rachid Mekhloufi and the fight for Algerian independence (click here to read). Formed by a group of students in 2012, S4G provides readers with a wealth of knowledge about African and Asian football. Must read: the sixty greatest African players (click here to read). A wonderfully suarve looking site, FC offers some of the best football writers in the country the opportunity to scribe about their favorite clubs. Must read: MLS is growing, but has Europe caught on? (Click here to read). Ben does an astounding job at providing statistics and visualizations on Football League clubs that would generally be reserved for elite European leagues usually. Must read: an early look at attacking and defensive performances (click here to read). A really nice blog with some interesting articles, particularly the one below. Must read: a look at the Croatian talent factory (click here to read). A truly stupendous blog with the most genuinely interesting articles on history, politics and culture. Must read: Bosnia – a troubled path to football acceptance (click here to read). Apologies for the shameless plug but the Guardian did so with the previous 100, so we can too! Writings cover a multitude of interests but mostly surround fan culture and football business. The name stems from a belief that clubs should be more left-wing, that they should prioritise fans as their most important investors and should also adopt a creative transfer strategy. Must read: financial investment in potential growth – the myth of moneyball (click here to read).